Upholstery Cleaning in Manchester | YGM Cleaning Company Ltd. Call anytime at 0161 823 0323 and let us help you with domestic cleaning. Our great service for upholstery cleaning in Greater Manchester will make every stain and dirt disappear and make your settee fresh and clean as before! Of course, we also provide many other cleanup solutions for you such as - carpet & rug, cleaning, hard floor maintaining, mattress and curtain cleanup. Choose our upholstery cleaning services and you will be amazed by the cleaning results of our work. We can guarantee all the cleaners are qualified after extensive training, always work with professional equipment and high-quality products of Prochem. All of them are fully insured and always bring their IDs. Eco-friendly detergents are always used because the health of your family and pets is important for us. You can read more about our work in the client's reviews. As an efficient cleaning company in Greater Manchester, with lots of years of experience and more than 15,000 happy customers, we are glad to provide you our professional solutions for your home. And because we know that every stain requires specific treatment, we developed the best cleanup techniques according to different stains from coffee, red wine, salad dressing and chocolate, to paint, blood, pets urine and etc. 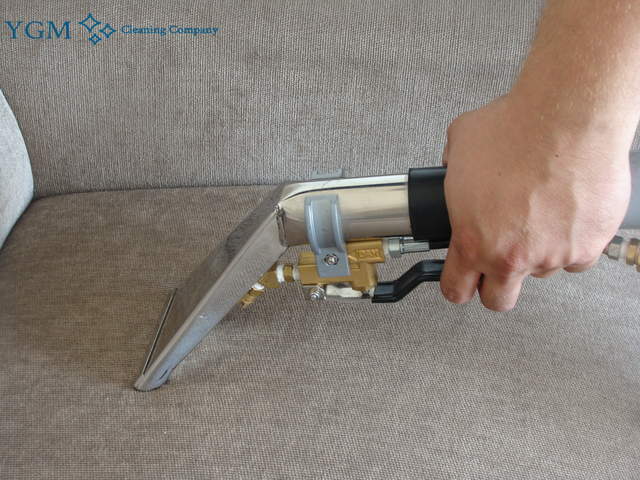 Take benefits of our upholstery cleaning with no supplemental charges for weekends and public holidays. The professionals that we'll assign you will treat your furniture with careful consideration. Vapor cleanup is known as hot water removal and dry treatment are more regularly used, but when required your couch will be treated by hand. The specialists will analyse and figure out the most suitable way to do it. The following materials are within our cleaning range - Plush, Chenille, Wool, Cotton Polyester, Linen, Nubuck, Untreated,, Painted or Alcantara leather, Suede and Faux Suede, Microfiber, Cotton Velvet, Acrylic Brocade, Silk/Viscose, Printed Cotton, Tapestry Fabric, Cotton Polyester Viscose/Acrylic, Polished Cotton, Additional Services and Utilities. Best cleaning solutions are readily available on 0161 823 0323 call now and request your service and get a discount! Our phone lines together with online chat are always available for you! Do not hesitate and take care of your property today!